Many visitors to Tokyo think they need to hop on a bullet train for several hours and head towards Kyoto to feel and experience a town that has retained a genuine aesthetic of “old Japan”. 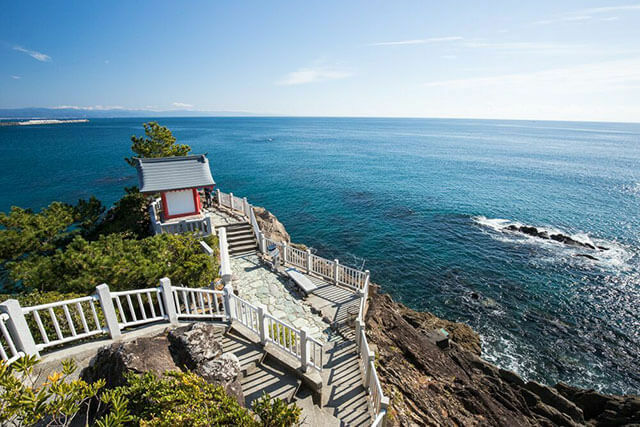 But actually, just thirty minutes in the opposite direction will take you to a little-known city that is an excellent example of Japan from a bygone era. This is the city of Kawagoe! 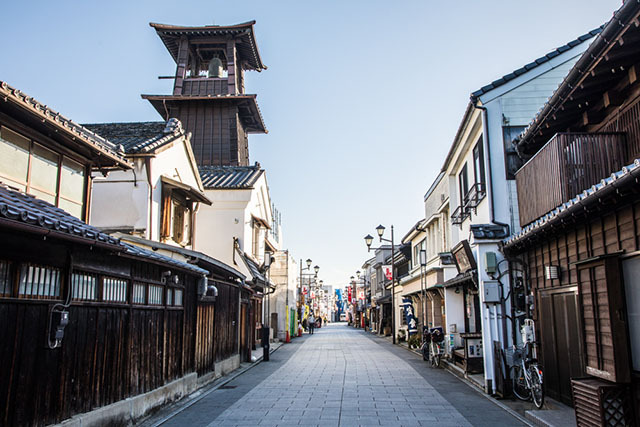 Kawagoe is located in Saitama prefecture, with excellent travel connections in and out of central Tokyo. Kawagoe flourished as a prosperous castle town during the 17th century in the Edo period, the local community at the time was made up of successful merchants who took advantage of their location close to the capital city, while also being within easy reach of large swaths of rural Japan. The feudal lord of Kawagoe in the Edo period had a clock tower erected in the city center during his reign, so that local workers could keep track of the time - this bell tower still stands today, surrounded on all four sides by narrow streets that are lined with rows of merchant storehouses that are now used to house a number of shops, businesses and private residences. This part of town retains such a strong feeling of Japan in a bygone era it has adopted the nickname “Koedo” (little Edo). 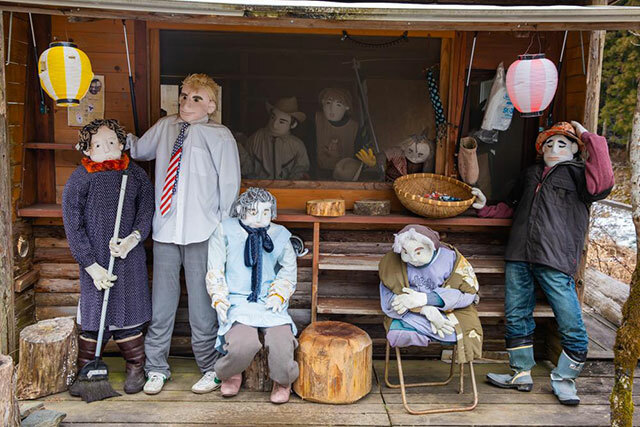 Many Tokyoites make the short trip out to Kawagoe and slowly stroll the streets, giving them a strong feeling of going back in time to the “good old days”. Kawagoe is also home to one of the most important temples in the Greater Tokyo area, Kita-in Temple, first built in 830. Within the sprawling grounds of the temple are 540 stone statues of the disciples of Buddha, each with their own distinct facial features. The nearby Kawagoe Castle no longer stands, except a small section of the inner-ground, that has been turned into a museum. There are various other shrines and temples located around the city too, making Kawagoe an excellent place to visit and learn about local historical heritage. Another draw to Kawagoe is the food. Traditionally, wealthy families from Tokyo would make the trip to Kawagoe to sample its high-end “kaiseki” Japanese food, in exquisite surroundings. Many of these places still operate today, with some accepting walk-in customers without a reservation. Also, tucked away down one of the back alleys of Koedo, is “Kashiya Yokocho” (Candy Lane), a narrow street packed with small shops selling a variety of traditional Japanese sweets. The simple, nostalgic taste will satisfy both your sweet tooth and your desire to experience traditional Japan. The best way to experience all of the above is by foot, but for those who would rather ride in luxury there are several rickshaw stations dotted about the town where you can have your own private cart pulled along by an energetic young local, or a loop bus that stops at all of the sightseeing spots. The loop bus offers information in both Japanese and English, and is also wheelchair friendly.